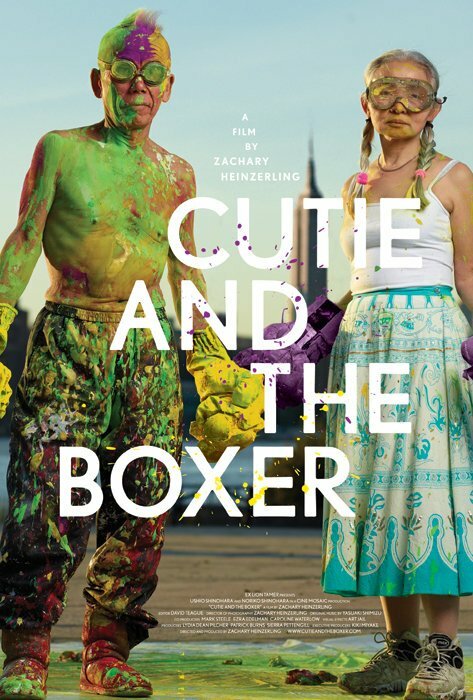 Cutie And The Boxer is a art documentary directed and produced by Zachary Heinzerling which came out in 2013 with its premier being at the 2013 Sundance Film Festival. Not only did the movie premiere, Heinzerling also won the Best Director Award. I recently came across Cutie And The Boxer through the trailers prelude to its screening at the 2013 Rooftop Films Summer Series in New York City. When watching this movie, I felt that “Cutie and Bully” would be a more appropriate title; but, that would give too much focus on Noriko than Ushio. The title, Cutie And The Boxer, shows that it gives equal coverage to both Ushio and Noriko. It gives a very objective and in-depth look of what it's truly like to be an artist. Cutie And The Boxer is an appropriate name as the film equally focuses on both. Cutting through the superficial fluff and glamor, Cutie And The Boxer focuses on the substance. This documentary gives the cold reality of the hard struggles to make a living as a professional artist let alone one in New York City. Those that have watched documentary films like Jean-Michel Basquiat: The Radiant Child, you should check out Cutie And The Boxer. One star (Noriko's) is slowly burning bright after all these decades while the other star (Ushio's) is brightening again after fading for so long. By all means, this is a revival of Ushio's art career and the birth of Noriko's individual art career. The documentary paints Noriko as the underdog heroine of the story with Ushio being the pillar of support and the obstacle at the same time. You want to cheer for both Noriko and Ushio, but at the same time, you may be critical of Ushio for his hubris and poor choices. I personally thought that Ushio exuded hubris throughout the documentary. The documentary starts out by giving a brief summary of Ushio's career as an artist which originated from Japan and going all the way to the United States. When I read the synopsis, I was curious about what a “boxing painter” was. Watching a demonstration in the trailers, Cutie And The Boxer had gotten me even more curious. 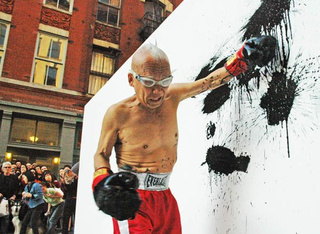 I found the concept to be quite original with Ushio, with Boxing gloves with large spongers attached, making his art. 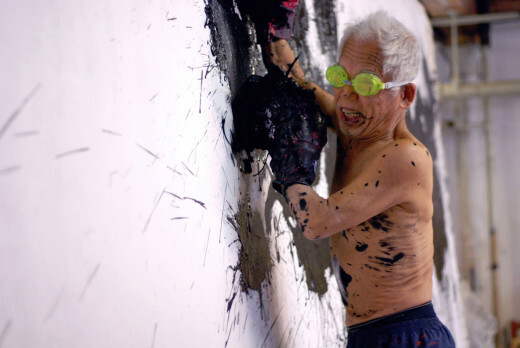 When he works on a large canvass, Ushio treats it as if he was competing in a bout. At times, Ushio chooses to go with black. When he uses different colors, he'll use them one at a time. Each color used would be the equivalent of competing one round a piece. Looking at Ushio make his art, it felt like he was going into a fight. Each work of art using this method felt like Ushio was fighting for his life. Living under Ushio's shadow and feeling like nothing but just a free helper, Noriko slowly develops on her own. The documentary then shifts from Ushio's art to a series of drawings called “Cutie and Bully” which garners attraction. Through Cutie and Bully, Noriko slowly starts to become noticed while still struggling with living in Ushio's shadow. 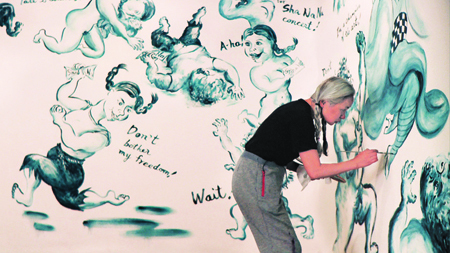 Knowing that her husband is still critical of her art, Noriko quietly works on her drawings. I suspect that Ushio is secretly condescending towards Noriko because she has become a talented artist while he's still struggling with his career path. As the documentary shows, the Cutie and Bully drawings pretty much tell the story of their life from when Noriko was a 19-year-old college student staying in NYC on vacation. She ends up meeting Ushio who is 21 years her senior. 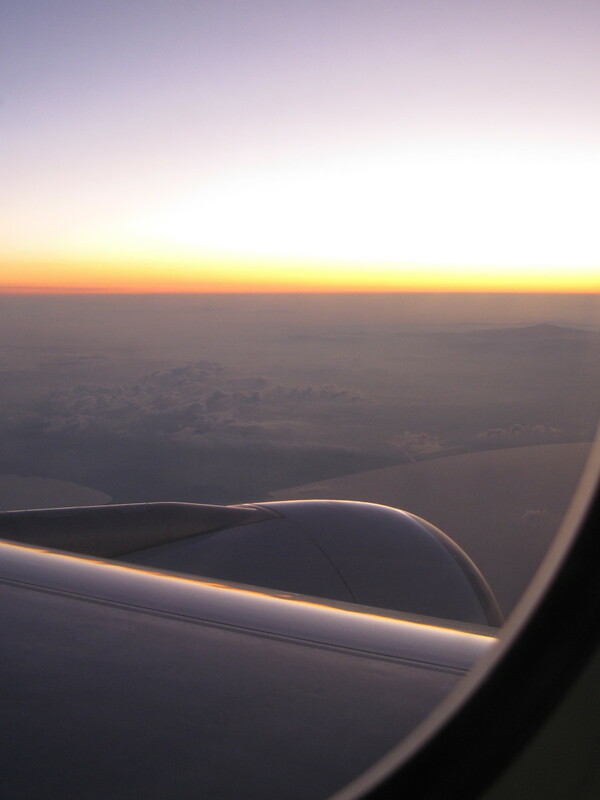 Being seduced by his charm, Noriko remains in NYC and ends up marrying him. While Ushio means well, he is incredibly focused on his career as an artist. 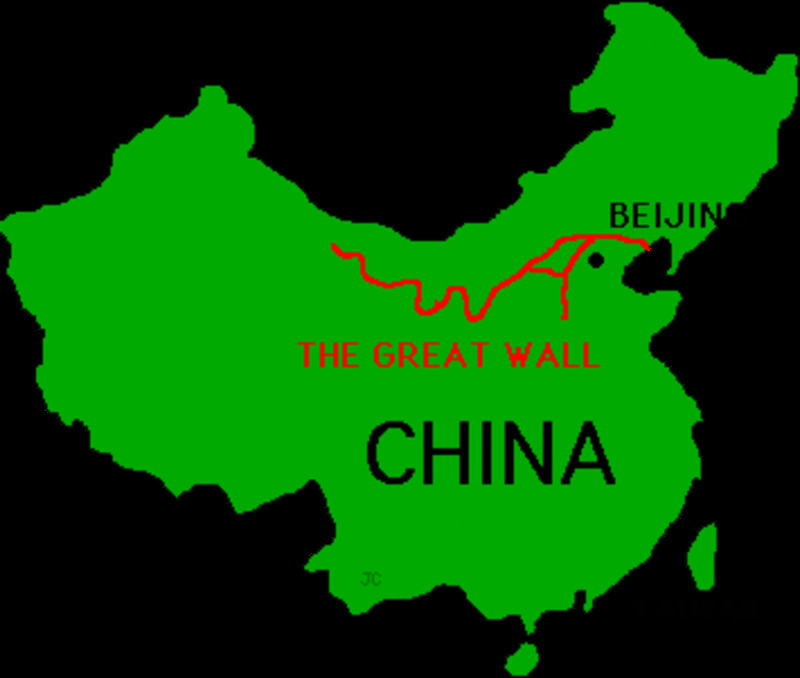 It also gives an undertone of the difference between Asian and American culture. If they were Americans or if Noriko was raised like an American, chances are they'd end up divorcing if she grew tired of Ushio's lack of monetary success. This also shows the difference between being famous and being monetarily successful. While Ushio's works have been shown across the world, the documentary gives the implication that not many have been sold or been sold for a small amount. One scene in the documentary shows Noriko telling Ushio that he needs to get at least $10 grand to pay for the rent and utilities. However Ushio shrugs Noriko off. The documentary gives a minor focus on their grown up son, Alex, who is trying to make it as a professional artist. Since Ushio and Noriko were focused on the former's career and the two of them would be spending many nights drinking with their friends, it would seem that Alex was often neglected. One could say, Ushio and Noriko were not the best parents. 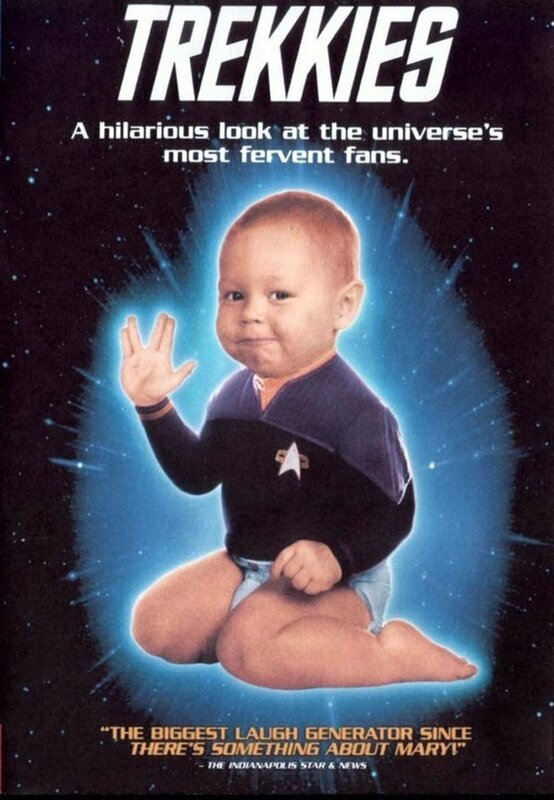 I have to say that they failed at parenting though Alex turned out all right. The family dynamic shows that you can be an extraordinary person while being a terrible parent at the same time. Being around his parents' drinking, especially Ushio's drinking, I get the impression that Alex is a functioning alcoholic. When Alex is introduced for the first time, he has already had a couple of drinks. Then he drinks the rest of the wine in the refrigerator much to the complaint of his mother, but his father nonchalantly disregards Noriko's concern and complaint. I felt that the premise of Cutie And The Boxer to be incredibly endearing. A New York Times piece on the documentary gives more of the story behind the life of the Shinohara's with Ushio still being married with two children by the time he meets Noriko. The piece also reveals that Noriko was cut off from her family by choosing to stay in NYC and marrying Ushio. While it seemed to be an enchanting fairy tale at first when they first met, Noriko learned the brutal reality of what it's like to be married to an eccentric artist. Her life was effectively being controlled by Ushio. While Ushio means well, he is very absorbed into his work and thinking that nobody is better than he is. The the documentary shows their life as one turbulent roller coaster ride with a series of more downs than ups. By watching the documentary, I could fully understand the line about two flowers in one pot vying for supremacy. Despite the hardships and frustration that Noriko has endured through the years, she still loves Ushio very much. In the documentary, when asked, Noriko replies that “Cutie still loves Bully” very much. I found the documentary as a whole to be quite the enlightening and enriching watch. You have the main focus of the documentary and a sub-story with the latter being told through Noriko's Cutie And Bully series. While they are underdogs, Noriko is the true underdog. 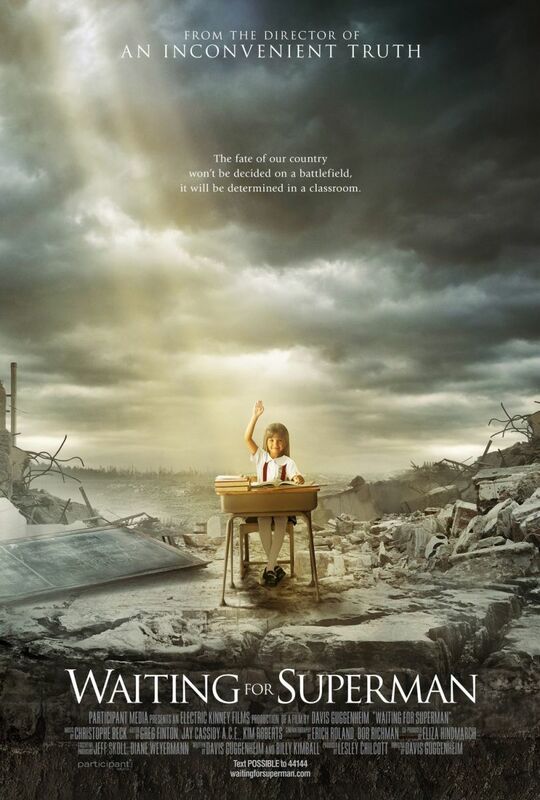 This is one of the best documentaries I had come across. If you are into documentary films let alone art documentaries, you should check out Cutie And The Boxer. It gives a realistic view of what it means to be an artist let alone a struggling artist living in New York City. There is no sugar coating in the story, the documentary instead shows us the cold reality that not all artists can achieve a level of monetary success. This is not one of your typical happy-go-feely documentary films. Asides from being able to watch it on Netflix, you can watch it on YouTube for $3.99.